In winter Arrowtown has some of the most polluted air in Otago, thanks to the popularity of solid-fuel home heating. Air monitoring shows that the national standards for pollution are regularly exceeded, and on some still, cold nights the air is as dirty as Beijing's on a bad day. In 2004, the Ministry for the Environment tasked regional councils with making sure national standards were met by 2013. 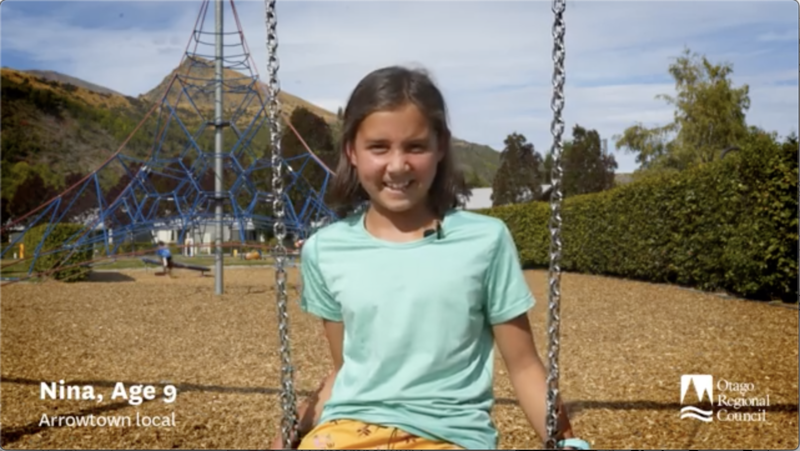 Since then Otago Regional Council has worked with homeowners in the towns with the worst pollution – including Arrowtown – to get clean heating appliances and insulation installed to help improve air quality. We are working alongside ORC and the Cosy Homes trust to clear the air in Arrowtown. The biggest issue for Arrowtown is emissions from coal and wood fires used to heat homes. Emissions take the form of small particles called PM10; to meet the current National Environmental Standard the average daily amount of PM10 should be less than 50 micrograms per cubic metre of air. Under ORC regulations you are now not allowed to burn coal in Arrowtown, and woodburners must comply with tight rules about emission discharge and efficiency. Even if you have a complying woodburner you'll still be up for a fine if you burn anything but dry, well-seasoned wood – both damp, green wood and rubbish produce too much smoke. If you've still got an old or non-complying burner or an open fire, the Clean Heat Warm Homes programme can help. Through this scheme the ORC provides a subsidy for removal of a working non-compliant solid-fuel burner from the main living area of your home and replacement with an approved new clean-heating appliance. Provided there is an agreement for the removal of a non-compliant solid-fuel burner or decommission of an open fire, the ORC heating subsidies available to approved applicants is $2500. If the ORC finds you are using a non-complying fire, or producing excessive smoke by burning unseasoned wood, you will get a formal letter requiring improvement within three months or an infringement notice will be issued (a $300 fine for each and every day the offence occurs). Reducing winter pollution is an uphill battle that Otago Regional Council can't fight on its own. There's plenty we can do as residents to help. To report smoke pollution, call the ORC Pollution Hotline 0800 800 033. If you have a non-complying burner, replace it! Season firewood for at least a year, and store it under cover with air circulating around it. Be aware that sometimes wood that is sold as 'dry' or 'seasoned' is nothing of the sort. A good way to test it is to knock two larger pieces together. The sound will be a dull thunk if the wood is too damp to burn. A fire is smokiest when it's starting. Use plenty of paper and kindling when you're building your fire, but leave space at the top of the fire box to allow flames to develop and burn off the gases released. Before using the low burn setting, ensure the fire has been on high setting for long enough that the wood is burning well and the burner has reached full temperature. Upgrade your heating: If you have a non-complying burner, replace it! Use dry firewood: Season firewood for at least a year, and store it under cover with air circulating around it. Be aware that sometimes wood that is sold as 'dry' or 'seasoned' is nothing of the sort. A good way to test it is to knock two larger pieces together. The sound will be a dull thunk if the wood is too damp to burn. Start hot: A fire is smokiest when it's starting. Use plenty of paper and kindling when you're building your fire, but leave space at the top of the fire box to allow flames to develop and burn off the gases released. Stay hot: Before using the low burn setting, ensure the fire has been on high setting for long enough that the wood is burning well and the burner has reached full temperature.